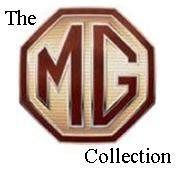 With the Second World war now over MG was anxious to return to making sports cars, and set to work upgrading the TB. Largely based on the 1939 TB, the TC had a few subtle differences. The body was wider and the interior more modern. The spring mountings were changed from shackles to sliding trunnions. Importantly the XPAG engine remained and actually proved to be so enduring it remained in production, virtually unchanged, until it was replaced in the MGA series cars by a twin-cam’ unit. US service men having experienced the nimble little cars of Europe during the war a created a boom in sports cars in the US, and the MG became something of a cult vehicle. UK Post War government regulations promoted exports to bring money into the country and, as the US had more money to spend on entertainment or luxury than the UK, the Nuffield organisation made some changes to the car to appeal to that market. The 1949 MGTC was fitted with front and rear bumpers, twin horns, turn signals and dual tail lamps. Exports to the U.S.A. Had begun back in 1947 and greatly influenced ‘Detroit’ to enter the sports car market five years later with the Chevrolet Corvette and the Ford Thunderbird. In fact the Sports Car Club of America blossomed from one branch of the M.G. Car Club! The TC was indeed successful - 10,000 had been built before it was replaced in March 1950. 6,592 were exported - 2,001 to the United States. The design did well, despite the fact they were all right hand drive cars, but in America there were “freeways” and long smooth roads, and they liked a softer ride. A redesign would be called for if the Marque was going to build on this export success. Rod Built his first incarnation of the MG TC (the black one) in 2002. Having good photo references he went to town on the details adding full hydraulic, fuel, lube' and electrical systems. To further enhance the model Rod replaced the plastic wheel spokes with wire ones (the process is covered in our article on re-spoking wire wheels ), more 'to scale' than the plastic originals, and hinged the bonnet in order that the engine detail could be seen. The model was finished and at the first model show it was displayed at Rod realised he had made a bit of a mistake. Having attached the body to the chassis much of the detail was no longer visible. Trying to describe it proved less than satisfactory for Museum visitors and some suggested it would have been better had the body not bee mated to the chassis but left free to show the details. Over the winter of '02-'03 Rod built a second MG TC (the red one), again with full detail to meet the needs of the viewing public. Only this time he went even further by removing internal panels to demonstrate the cars construction methods (note the right hand door inner), moving the front seat cushion into the rear and modifying the tonneau cover to display it, and the final touch, the new spare wheel cover, with matching trim.